Jaephil Cho, Dean of the Interdisciplinary School of Green Energy in Ulsan, discusses energy research in South Korea. During a recent trip to South Korea, I took the opportunity to talk to Jaephil Cho, a leading battery researcher and Dean of the newly established Interdisciplinary School of Green Energy at Ulsan National Institute of Science & Technology, about energy research in Korea. Esther Levy: What are the main scientific research emphases in South Korea currently? Where does energy research fit in? Jaephil Cho: In South Korea, the main scientific research emphases are on next generation convergent technologies, such as green energy, displays, and semiconductors. Among them, green energy is the main research concern and lithium-ion and solar cells have received the most attention. EL: What are the current energy sources in Korea? JPC: Most of the current energy sources in Korea come from fire power (coal) and nuclear plants. EL: What are the main drivers of energy research in Korea? JPC: The main drivers of energy research are the government, the Ministry of Knowledge Economy (MKE) and the Ministry of Education and Science & Technology (MEST). They have initiated most of the big R&D projects related to green energies. EL: In terms of Korea’s research activities in energy, which area is the strongest? JPC: The strongest area is the Li-ion battery. About 5 years ago, two big Korean Li-ion battery makers (Samsung SDI and LG Chemical) shared only below 10% of the world market (90% from Japan). However, last year these two makers were listed among the world’s big 5 Li-ion makers and shared over 35% of the world market (ranked 2nd). Currently, top research efforts are being put into the development of plug-in hybrid electric vehicles (HEVs) and KWh/MWh energy storage devices. EL: Which area is the hottest (and why)? JPC: For developing plug-in HEVs and energy storage, performance of the Li-ion cells is the most critical factor, and these markets are expected to exceed over 5 billion dollars within the next 5 years. To do so, positive and negative electrode materials to fulfill high safety, high capacity, and long cycle lifetime are being developed under collaborative projects with industries, universities, and national labs. EL: Which is weak, but likely to grow? JPC: Still weak research fields related to green energy in Korea are wind, bio-energy, and solar energy. Although much research funding has been invested in them, more time is needed to catch up with competitors. EL: What are the most promising future areas? JPC: This era is a ubiquitous one, and in the near-future, all electronic devices will be turned into portable and flexible ones. Hence, the battery should also be available in flexible forms (that are rollable). EL: Which institutes/universities lead energy research in Korea? JPC: In Korea, a leading energy research institute is Ulsan National Institute of Science and Technology. It has an interdisciplinary school of green energy with 4 undergraduate tracks dedicated to energy (bio, energy conversion & storage, solar, and nuclear) and 21 faculty members who have research backgrounds in these fields. Last year, the dean of this school (I) received research grants (35 million dollars for 5 years) in the areas of energy harvest and storage and flexible batteries from the Ministry of Education and Science & Technology. Also, 50 graduate students and 10 technical staff, and 4 post-docs work on these projects. EL: What is the size of the energy research community in Korea? JPC: The largest research community is companies. About 2000 R&D staff at Samsung, LG Chemical, SK energy, and Hyundai Motors are working on batteries and HEVs. The next largest is universities. About 20 universities (about 200 people including faculty and graduate students) are studying in the areas of battery materials (negative, positive, and electrolytes). National laboratories take the smallest portion of the community, where about 100 R&D people are working on batteries. EL: How do you view Korea’s global competitiveness in this field? JPC: Among the various fields of Li-ion batteries, production quality of small size cells and medium-large cells for HEV are world best. EL: Are there any Korea-specific barriers preventing faster progress? JPC: For faster progress, much R&D funding needs to be put into development of next generation high capacity battery materials, but still below 10% of the funds has been allocated to these research areas. EL: What is the role of industry in energy research in Korea? JPC: The role of industry in energy research is becoming important, and industry makes decisions for road maps for batteries and electrode materials, although universities and national labs give their opinions on this subject matter. Based on the roadmaps, R&D directions for Li-ion cells are decided. EL: What is the role of the government? JPC: The government plays a key role for R&D programs of batteries, and 95% of battery R&D funds come from the government. EL: What role, if any, does international research cooperation play? JPC: At this time, international research cooperation is weak in Korea, but the World Class University Program funded by MEST allows the participation of battery experts from foreign universities to collaborate with Korean universities. Under this program, UNIST, SNU, and KAIST have invited battery materials experts and have started collaborations. For instance, Prof. Zhong Lin Wang and Prof. Meilin Liu from Georgia Tech have been collaborating with UNIST faculty for development of energy harvest and storage devices. EL: Any other thoughts on energy research in Korea? JPC: Next generation battery research needs to be convergent with other technologies. For instance, nanotechnologies have been regarded as non-implantable for battery materials due to technical hurdles (e.g. high surface area, which causes severe side reactions with the electrolytes and low volumetric density) and scale-up. However, nanotech has been used to develop high-performance battery materials to improve the charging and discharging times. In addition, one unified module for energy harvest and storage (e.g. solar + Li-ion or piezoelectric + Li-ion) is under development for future energy harvest and storage. EL: What are your current research interests? Any new results? JPC: My current research interests have been foused on the development of 3D-porous bulk silicon anodes and flexible solid-type batteries. Synthetic methods and preliminary electrochemical properties of the 3D-Si (Ge) were published in Angew. Chem. Int. Ed. 2010, 49, 2146 and Adv. Mater. 2010, 22, 415, and now I am doing scale-up experiments. In addition, by combining conducting polymer and electroactive nanowires, my research center (Converging Research Center for Next Generation Battery Technologies) is trying to develop flexible electrodes and batteries that can operate even after complete wrinkling. EL: What are your short and long term plans? my research center funded by MEST, which is involved in 5 companies, 4 national labs, and 17 universities. In addition, I am continuing work on improvements of rate capability and capacity of battery materials. My long term plan is to develop the flexible solid-type battery and to transfer this technology to industry. EL: What do you predict will be the research trend in the next 10 years in your field? JPC: In the next 10 years, battery technologies may be implanted to flexible electronic devices, and wireless-charging is also a key issue for battery technology. To fulfill these operating requirements, electrode materials with fast charging and high capacity with high energy density, with 5 times the capacity of current ones, should be developed. 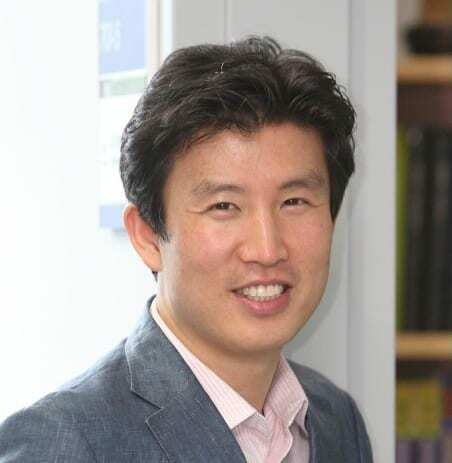 Jaephil Cho is Professor and Dean of the Interdisciplinary School of Green Energy at Ulsan National Institute of Science & Technology, Korea. He received his M.S. and Ph.D. in Ceramic Engineering from Iowa State University (USA) in 1993 and 1995, respectively, and B.S. in Materials Engineering from Kyungpook National University (Korea) in 1990. In 1995, he joined the School of Materials Science and Engineering at Georgia Institute of Technology (USA) as a post-doctoral fellow, studying Li-ion conducting glass and polymer composite solid electrolytes and combustion reactions of cathode materials. He moved to an R&D centre of Samsung SDI Co. Ltd as a Senior Researcher in 1996, and worked on the development of Li-ion battery cathode materials until August, 2002. From September, 2002 to 2007, he was Professor of Applied Chemistry at Kumoh National Institute of Technology (Korea). Between February, 2009 and January, 2010, he was affiliated with the department of Applied Chemistry at Hanyang University (Korea). His awards include Best Technical Paper Awards of the Samsung SDI (1997, 2001), Samsung SDI Invention Award (2001), Korean Chemical Society Award in Materials Chemistry (2005), Korean Chemical Society-Wiley Young Chemist Award (2007), and Ulsan Metropolitan Major Award for Battery Technology Achievement (2010). His current research is focused mainly on nanomaterials for energy conversion and storage, nanoscale coating, and safety enhancement of Li-ion batteries.